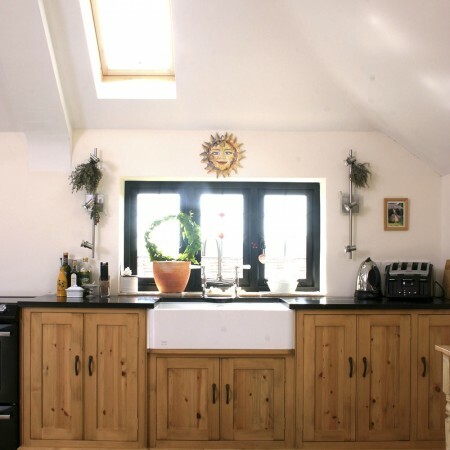 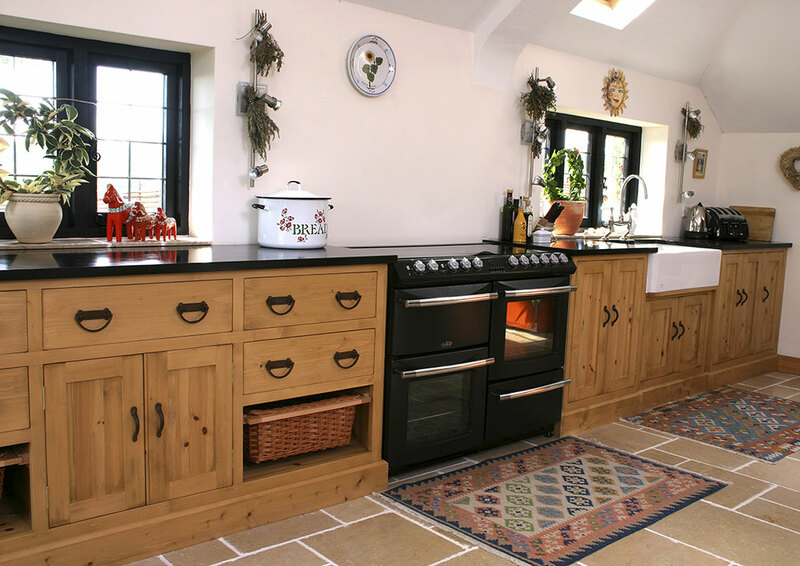 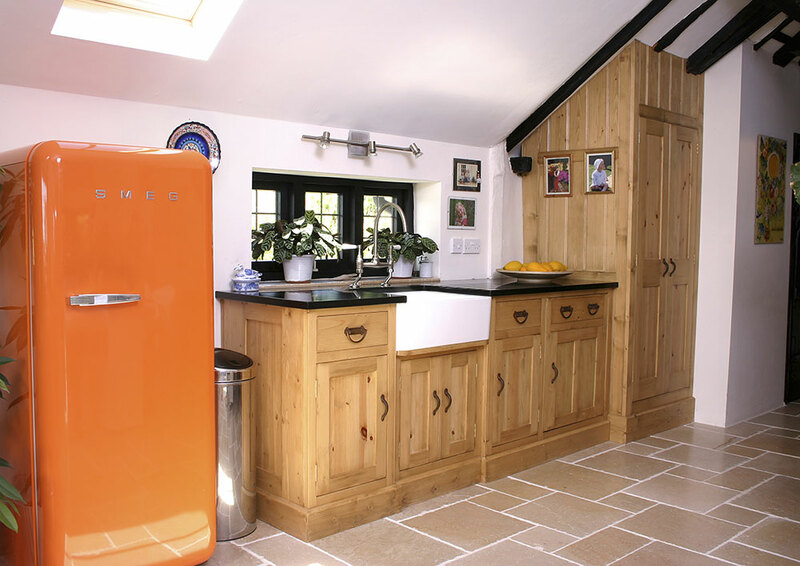 Taking our Craftsman Kitchen as a starting point this kitchen was designed to have a free standing feel within the modern extension of a medieval hall house. 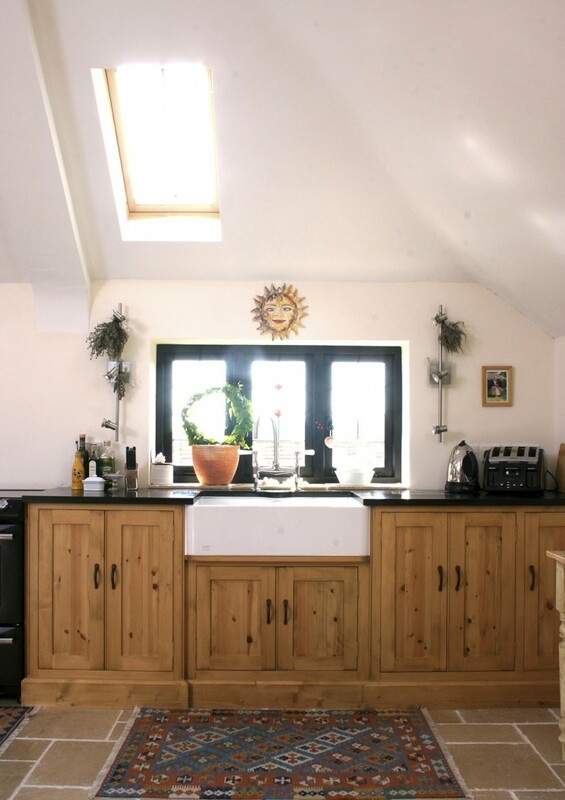 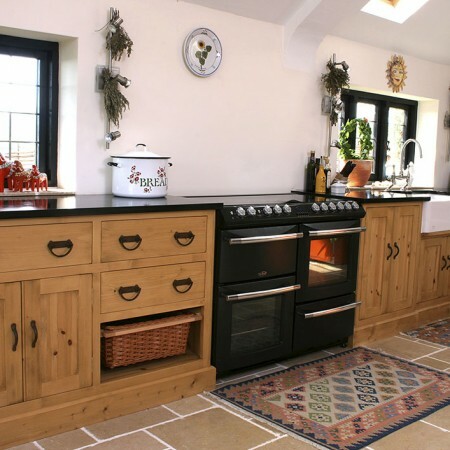 Skirting was used instead of kick plinths to give the look of fitted furniture against the heated limestone floor. 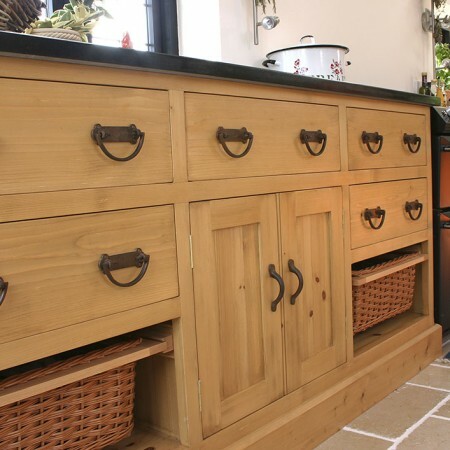 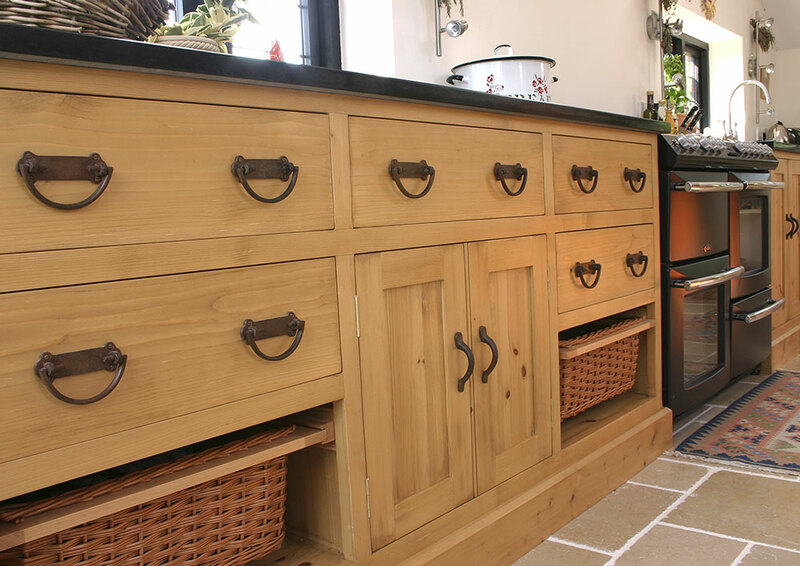 Reclaimed pine cabinets with minimal detailing were topped with honed bassalt work tops which resemble slate but are much more practical. 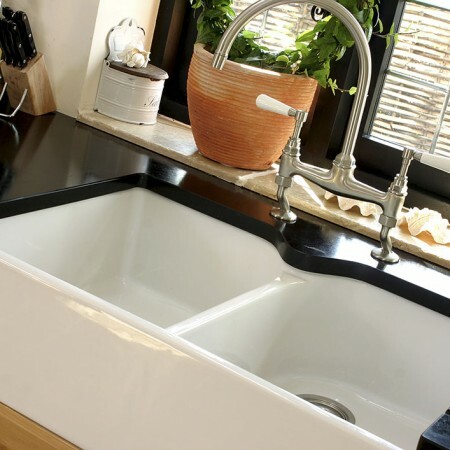 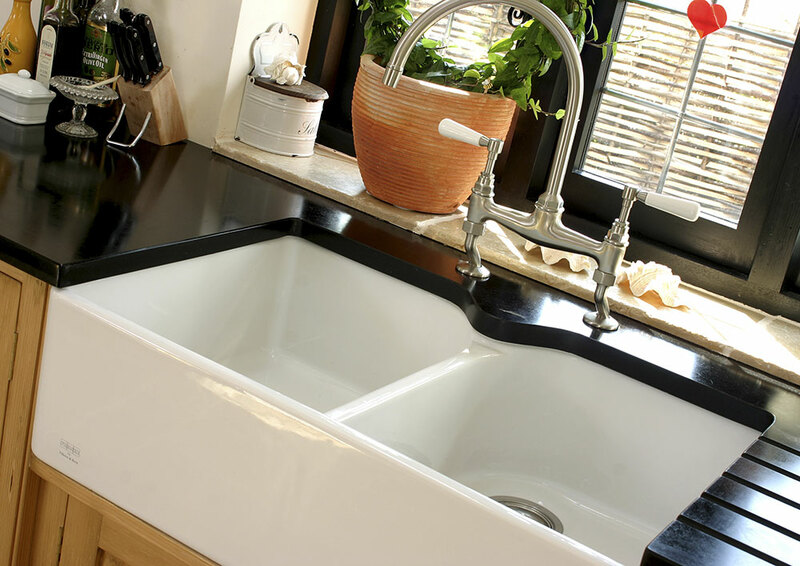 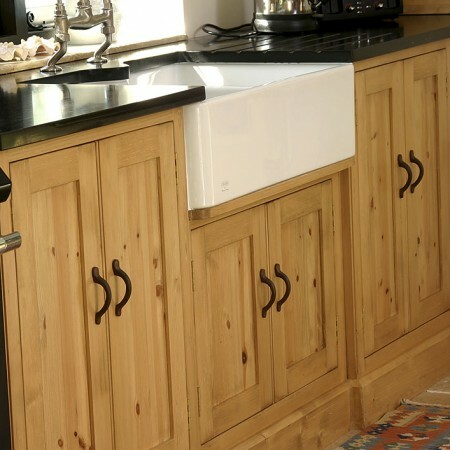 A French ceramic farmhouse sink provides an elegant line and is matched with a single butlers sink in another part of the kitchen. 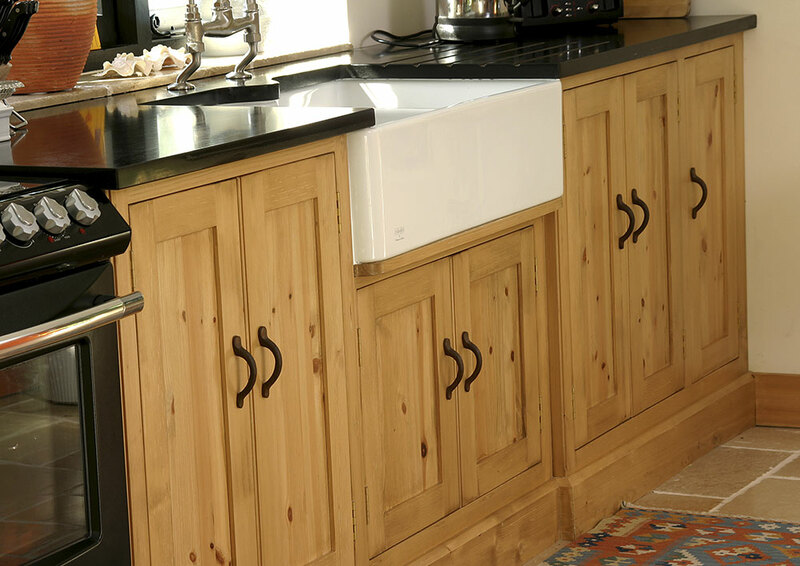 Cast iron door and drawer pulls add an authentic tone to this rustic yet finely finished room. 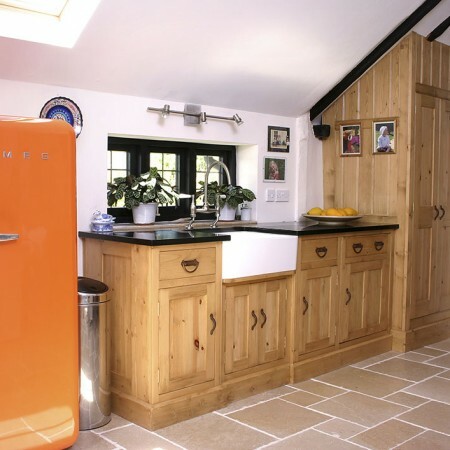 A sense of fun added an orange free standing Smeg fridge to the inviting and convivial family space.